Weather in Morocco in march 2020 - Climate, Temperature, Where to go? Morocco in march: average Weather, Temperature and Climate, Where to go? How is the weather in Morocco in march? Is it a good time to visit Oujda and Dakhla? Check this with our datas and our opinion here. Below, you have access to the weather forecast for march for most popular cities in Morocco. These predictions are statistics for march from weather reports for many years. The percentage indicates the probability of having the weather mentioned. The whole Moroccan territory, located to the north of the Sahara, benefits from pleasant climatic conditions - even ideal, as is the case for Marrakech or Agadir. Temperatures continue to rise and those of March allow to regain a little thermal comfort. However, the climate throughout March in Morocco depends on the rainfall of each locality. With a rise in temperature and a decrease in rainfall intensity, the cities of Tangiers and Chefchaouen benefit from more pleasant climatic conditions. The sun is indeed more present and its beneficial action favors a feeling of comfort. Fez experiences better conditions because midday is magnificent and warmer. The weather in Morocco throughout March on the Atlantic coast is pleasant. If Rabat and Tangiers are cooler in the morning, Essaouira and Agadir are warmer, especially in the middle of the day. Moreover, the heat is so comfortable in Agadir that its climatic conditions become idyllic. The climate in Marrakech and its surroundings is simply ideal. The weather is nice all day, the heat is comfortable and there is almost no rain. The month of March is ideal to discover the Moroccan hinterland along with impeccable climatic conditions. Where to go in Morocco in march? Where should you go in Morocco in march when it comes to the weather? The climate in Morocco in march ranges from perfect to tolerable depending on the region and city. On the month of march the weather is perfect in Morocco, but only part of the territory: in Zagora, Taroudant, Dakhla, Marrakesh and Agadir. In these places, these ideal weather conditions will allow you to savor fully your travel: the sun is here, precipitations are scarce and the humidity is bearable. It is therefore the ideal month to go to these cities! However, the weather is still favorable in Settat, Nador, Saidia, Ouarzazate, Tangier, Rabat, Oujda, Beni Mellal, Tetouan, El Jadida, Fez, Chefchaouen, Essaouira, Safi, Meknes, Oualidia and Casablanca. Around here, temperatures are still attractive and allow you enjoy the sun and sightseeing in good conditions. In the month of march, the mean temperature in Marrakesh is 21°C (maximum temperature is 24°C and minimum temperature is 17°C). The climate pleasant in that area in the month of march. With about 40mm over 6 days, the rain will not be a problem during your holidays. With a perfect climate, march is a recommended month to go in that area. In the month of march, the mean temperature in Agadir is 22°C (maximum temperature is 25°C and minimum temperature is 19°C). The climate good in this location in march. With 45mm over 4 days, the rain will not be a problem throughout your stay. With ideal weather conditions, march is a recommended month to go there. 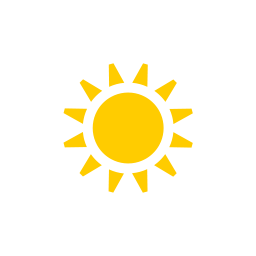 In the month of march, the mean temperature in Casablanca is 19°C (maximum temperature is 21°C and minimum temperature is 17°C). The climate quite comfortable here in this month. With 69mm over 9 days, rainfall can happen throughout your journey. But this is moderate and it is only of temporary showers. With a good climate, the month of march is an advisable month to go in Casablanca. In march, maximum temperature is 19°C and minimum temperature is 15°C (for an average temperature of 17°C). The climate is relatively cold in that area in this month, but it is livable by dressing hot. With 91mm over 12 days, you risk getting wet slightly during your trip. But this is pretty reasonably and it is only of temporary showers. With a good weather, march is an advisable month to go there. In the month of march, maximum temperature is 23°C and minimum temperature is 18°C (for an average temperature of 20°C). The climate pleasant in this city in march. With about 36mm over 5 days, rainfall is infrequent throughout your journey. With good weather conditions, march is a recommended month to go in this city. Weather data for Morocco in march is derived from an average of the weather forecast since 2009 in Morocco. There is a margin of error and these forecasts are to be considered as general information only. The weather in Morocco can vary slightly from year to year, but these predictions should limit surprises. So you can pack your bags and check when is the best time of year to visit Morocco.